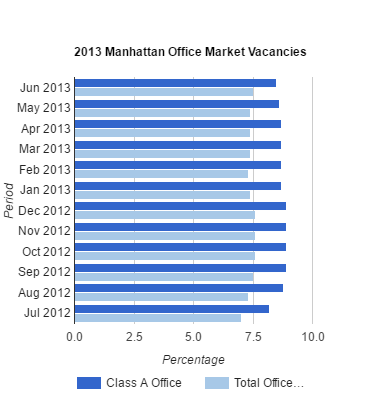 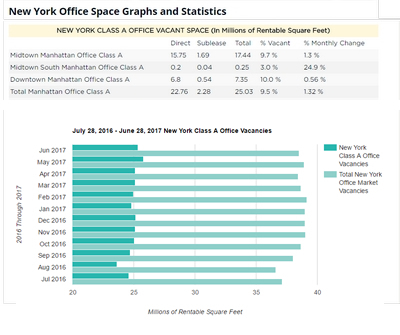 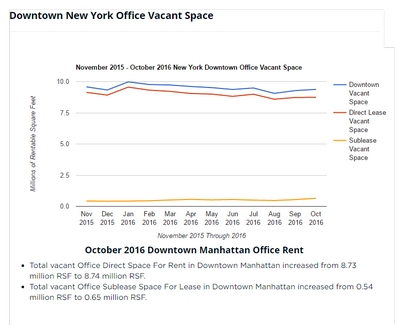 Plaza District Class A office rents are back to 2008 highs. 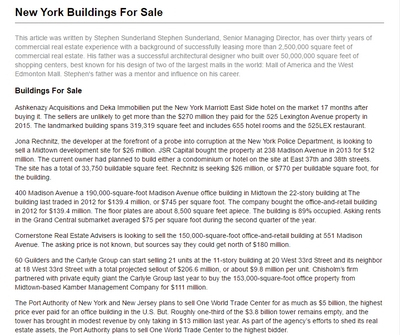 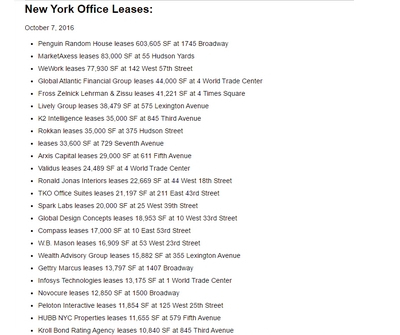 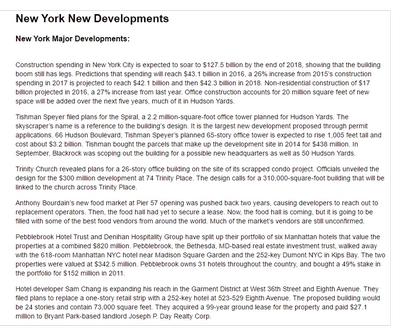 Two recent leases at the GM Boarding and 9 West 57th Street were at $200/RSF. 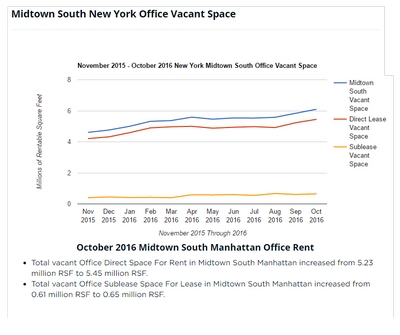 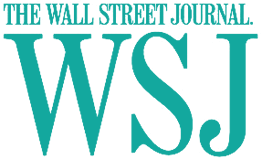 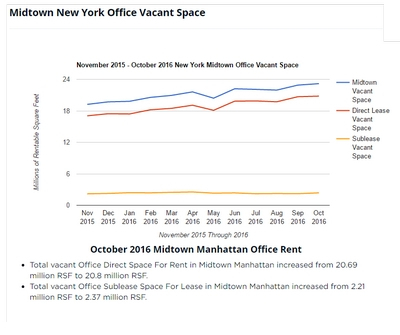 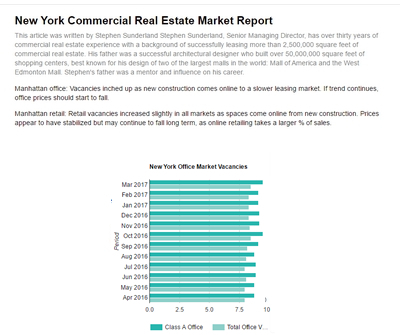 There is a pocket in Midtown where rents have declined from their highs, this area is from 42nd to 47th Street Second Avenue to Sixth Avenue, where Tech and Media companies do not want to go to. 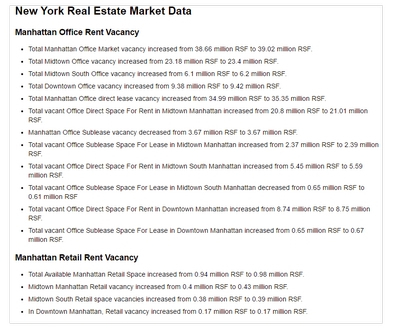 Prime retail rents on 5th Avenue, Madison Avenue and Times Square are at all time highs. 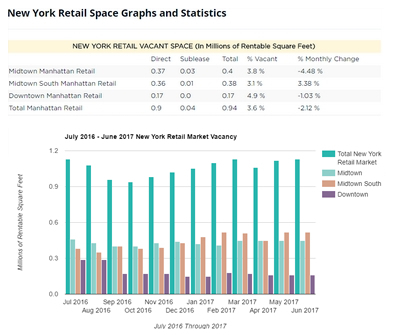 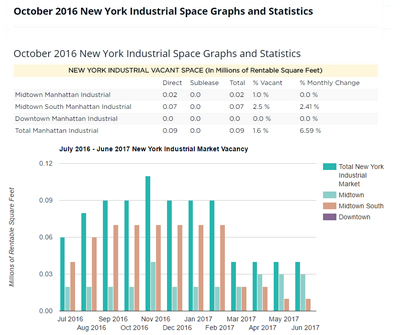 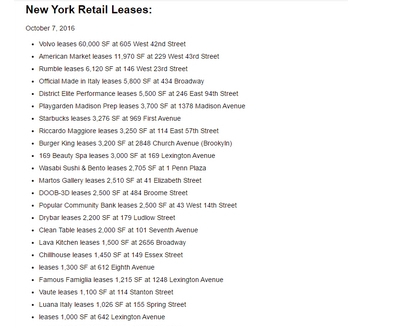 The bulk of major retail corridors in Manhattan have seen as high as 55% annual jumps in average asking rents compared to the previous year.